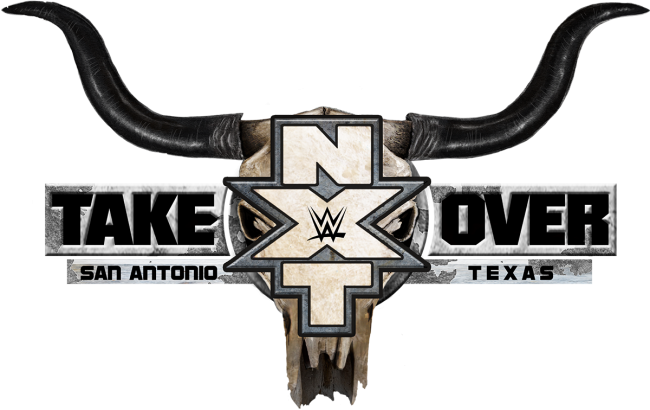 It seems like a tradition now: when a major WWE event comes to town, NXT brings their quality Takeover event as well. Lately, the NXT shows have stolen the show from their WWE counterparts, but will this weekend be different? First up, NXT shined brightly in the lone star state with NXT Takeover: San Antonio. Eric Young Vs. Tye Dillinger: The opening match set a spectacular tone for the evening. Dillinger being the constant fan favorite versus the crazy leader of the Sanity faction, Eric Young, this match proved to be on point. I have been a favorite of Young since his TNA days, and now as he leads Alexander Wolfe, Killian Dain and Nikki Cross, I am even more of a fan. Lots of great spots for both wrestlers, some classic interference by Dain and Wolfe, and an insane finisher by Young, this was a great way. Roderick Strong Vs. Andrade “Cien” Almas: Two of NXT brightest stars, both pining for the big match: this was an excellent showing. Almas has consistently been amazing, and this match was no different. Strong, know from Ring of Honor and such, showed why he belongs here, with hard hitting strikes, slams and a kick heard round the world. NXT Tag Team Title Match: DIY Vs. Authors of Pain: This, in my opinion, was the match of the night. DIY have stolen the hearts of the NXT audience time after time, and for good reason. Gargano and Ciampa are fantastic in the ring, and their styles complement each other perfectly. With the Authors of Pain, I will admit, I haven’t been their biggest fan. This match changed that: they felt cohesive, they felt like a team, and they felt dominant. A spectacular showing by both teams, but the monsters steamrolled the heroes; who’s left to challenge the Authors of Pain? NXT Women’s Title Match: Asuka Vs. Nikki Cross Vs. Peyton Royce Vs. Billie Kay: The fatal four way match could have went a number of different ways. What we got was a highly entertaining match, showcasing what the other women of the division can bring to the table. I have heard a lot of heat on Royce and Kay, but these two women have come a long way during their in NXT, and have grown into entertaining wrestlers who are comfortable with their skills and their own skin. Cross was the dark horse of the match, and she shined brightly, even when she went through the table, courtesy of the beautiful Aussies. But Asuka is in a class all her own, and laid waste to the women in grand fashion. Who’s next? I can’t wait. NXT Heavyweight Title Match: Bobby Roode Vs. Shinsuke Nakamura: This is the big one, the one fans have been waiting for. The charismatic champion Shinsuke Nakamura going one on one with the one man supernova, Bobby Roode. I am a huge fan of both of these men- Nakamura brings a style all his own, and I’ve been a fan of Roode’s since his Team Canada days in TNA. The match started off slow, and then took off majorly. We got a finish that not only pushes over Roode as the new champion, but also doesn’t take anything away from Nakamura, nor make him look weak. NXT Takeover: San Antonio brought the heat, and passed the torch in more ways than one. The Authors of Pain proved to be the men to beat in the division, Eric Young showed why Sanity should be feared; Almas and Strong showed they are both ready for the next level, and Roode showed that there is a new standard of greatness to measure up to. Will the Royal Rumble top this fantastic showing?